Today we are thankful for the team at Kendra Scott - Dallas West Village. 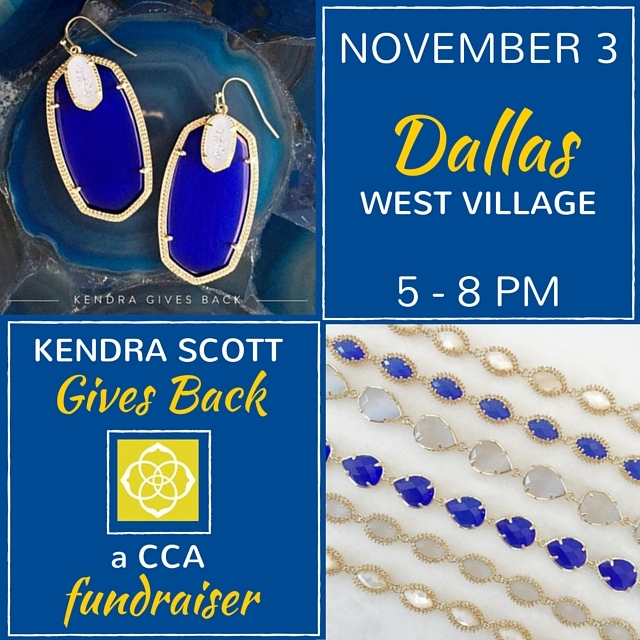 Not only did they donate a gorgeous set of earrings for our Links of Love silent auction, but they are also hosting a Kendra Gives Back party next week for CCA! We are so grateful to the staff there -- they know a few of us by name. We truly appreciate their willingness to participate in our fundraising efforts! Thank you, KS Dallas! And, no matter where you're located, you can still participate in Tuesday's event. Just call the store (214-528-4800) during the party and place your order and 20% of your purchase will go to CCA!